One of the scariest films of 2015 for me was It Follows by David Gordon Green. This clever little indie shocker gave me the creeps! I started watching it fairly relaxed, chillin’ out on my couch on a late friday. Twenty minutes in I was sitting upright, completely awake. Then I started to get paranoid about the wall behind me, or rather the empty space between the wall and the edge of my couch, where I was by this time sitting in high tension. Upon reaching the end of the film I had locked myself in the livingroom, blinds down and every available light source turned on. In hindsight a major part of this experience is owed to the amazing and truly unique horror score by Disasterpeace. The pulsating mix of synths and 80’s electronics crawls under your skin, terrorizes your mind and keeps wearing you down emotionally and psychologically. It’s almost as if the supernatural being from the film was spellbound in the soundtrack disc and is now haunting you whenever you spin it. A mesmerizing thing, definitely worth checking out. As so often nowadays the score album was released on both CD and Vinyl. Milan Records wrapped the compact disc (#1) in a spooky but also formulaic album artwork. It was only for the Vinyl Edition (#2) that they pushed things a little further. The stark and eerie cover artwork by L.A. based designer Midnight Marauder evokes a subtle sense of fear. Much like the film itself it is stoic and unsettling at the same time. And for film afficionados it’s even working on a subconscious level as well, considering the heavy David Lynch vibe it is radiating. Great visual design all around, very well done! My custom designs fall completely flat against such artistry, but I didn’t intend to compete with the official art anyway. My first try (#3) was heavily inspired by an apparently fanmade one-sheet from dA member Blanton Leigh. And while it does have a very strong Akiko Stehrenberger feel to it (this guy! ), it really seems to be unofficial since I couldn’t find any background info about it at all. Anyhow, the retroesque feel and the classic horror font (“Friday 13“) struck a chord with me and I drafted this custom cover as the very first one in this series. My second artwork (#4), which you can see below in all its splendour, is based on official material entirely. Nothing spectacular, but I loved me the colour scheme and the ridiculously huge key art was virtually predestined to swing by my Photoshop interface for a session. Of course those weren’t the only suitable images available. 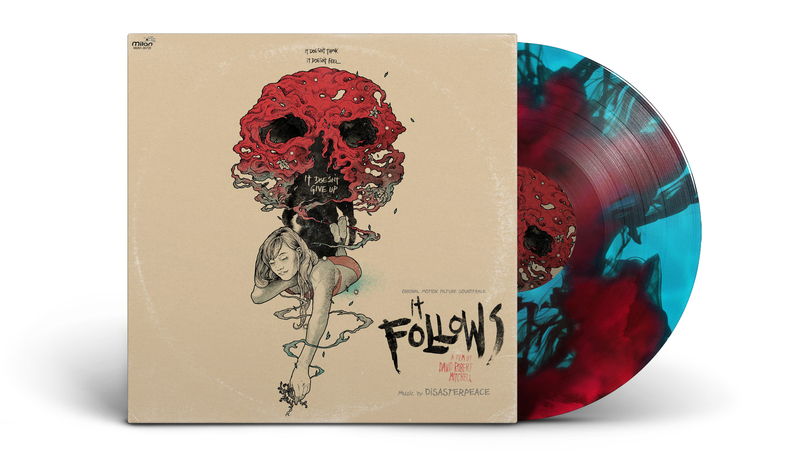 It Follows inspired a whole regiment of people (rightly so.) which resulted in some exceptionally beautiful poster designs. But why bother, when some bright minds already have dealt with them? I don’t have to reinvent the wheel all the time or find it necessary to have my ego invested in each potential custom cover. Especially when they’ve been done already in the splendid fashion below. The first one (#6) is based on the artwork of Akiko Stehrenberger and it was perfect for a vinyl sleeve made to look like an old vintage release. I did some minor colour corrections, removed some text and added the usual soundtrack informations (using “Myriad Pro Regular”). The Milan logo, catalog number of course, and some sleeve wear were the final touch. The second cover (#7) was based on a poster by Richey Beckett, which I really liked. I did the same modifications as on the first one, only using a different font (“Dinosaur Plane Jr.”). Since every exclusive Vinyl release nowadays is some kinda Limited Edition, I came up with the “Bloody Pool Edition”. The vinyl itself was based on a French poster, yet I had to remove a lot of text. 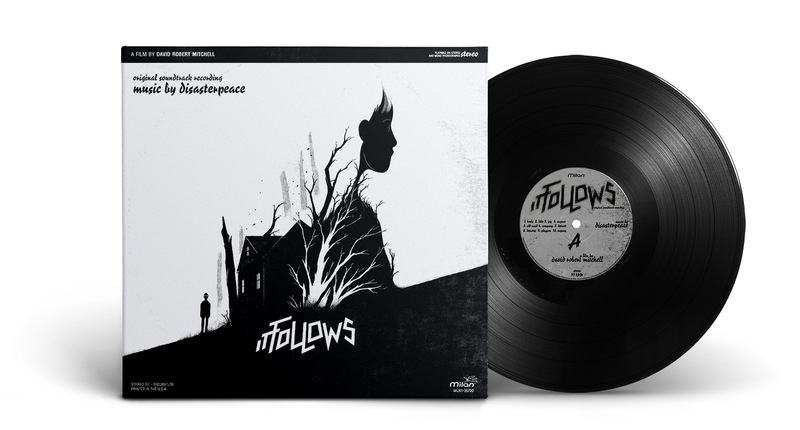 A real Vinyl pressing wouldn’t look like that exactly, but something similar would be really nice to have.